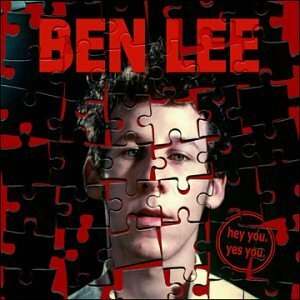 Ben Lee – Hey You. Yes You. Before the project I had barely listened to Hey You, though I had heard quite a few songs at Ben’s shows several years ago. I’ve figured out that I was mistaken – the modern slide downward in Ben’s music hadn’t started yet with this album. There are a lot of good songs here (Dirty Mind and Chills to name a few) and he’s still funky and sweet without being cheesy and lazy like some of the later albums (though the album cover is a little cliche for my taste – ooooh, he’s such a complicated puzzle). I need to listen to this more and appreciate what’s here.